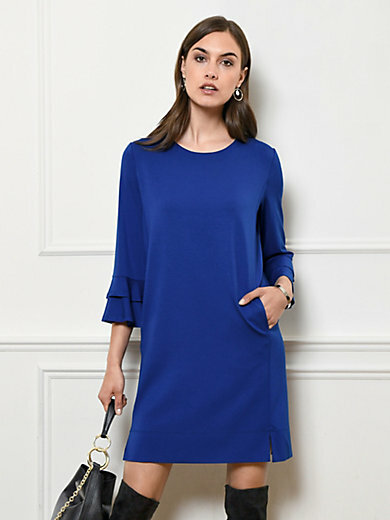 Jersey dress by RIANI – casual, flattering style with 2 seam pockets, side slits and a double flounce at the cuffs as a charming detail. 92% viscose, 8% elastane. Length approx. 39ins. The jersey dress is machine washable.